Keeping your carpet clean is a mandatory task for maintaining a clean, odorless and heathy home. But it’s not always a task that you can do on your own. Our company specializes in cleaning and repairing carpets. Dust, buckles, mold – it’s not a problem for us and it will not be a problem for you! One of the main reasons for carpet buckling. It could be caused by both weather conditions – living in a country with a four-season cycle which accumulates additional humidity because of the drastic temperature changes, and leaving wet spots on the carpet without treating them. Not only buckling will occur but mold and other bacteria can find their way to your home. Dragging heavy furniture across a carpet can severely damage it by stretching it. Not only those stretches look ugly but they are perfect for preserving humidity in them. When moving a heavy piece of furniture around the house keep in mind not to drag it directly on the carpet. A highly neglected issue is the flooring of the rooms. If the parquet or the surface on which the carpet is placed is in bad condition or poorly done from the beginning, it can rather lower your carpet’s life span. Dirty carpets produce unpleasant odors and if not treated for a while the smell can travel through the house making it even harder to get rid of. Not only they smell bad but they can harm both your and your family’s health. Dirt accumulated in the carpet does not just stay there. If not treated quickly enough the dirt and dust can spread throughout your furniture and walls. It builds up in the carpet if not vacuum cleaned daily. This will affect other rooms as well even if you keep them clean. All the dirt, dust and mold are cause health related issues, bad reputation and untidy home. But they also considerably reduce the carpet’s life-span. If not clean regularly the carpet will get thinner, easier to tear and more susceptible to further damage. The accumulated dust and dirt will damage furniture as well. It will take significantly more time to ruin the furniture than the carpet but it will happen. The dust will travel to your furniture and make it look ugly and worn. And it will not only look worn – it will be worn. One of the biggest issues with dirty carpets, however, are health related issues. The dust and dirt make you and your family more susceptible to contracting diseases, illnesses and infections. Also if you or a member of your family happen to be allergic, keeping a dusty carpet can be very dangerous. Respiratory inflammation and athlete’s foot can also be caused by unclean carpets. Dust and dirt are not the only dangerous component is a dirty carpet – if fungus or mold develop the health danger increases significantly. We can remove up-to 99 per cent of the harmful particles in your carpet by high-pressure and upright vacuum cleaning it and using our special high-efficiency double lined collection bag, agitated brush and a unique filters. We use special carefully formulated and mixed agents for preconditioning in order to separate any soil in the carpet from its fibers. There are three major steps we take when we use soil suspension. First we apply special preconditioning chemicals. Then we use heat as a catalyst for speeding up the process. Then we proceed to extract the soil from your carpet without damaging it and even turning it in better condition. The soil extraction is a process where we physically remove soils from your carpet. We use wet and dry vacuuming, rinsing and absorption to achieve this. If this doesn’t help hot water extraction is another method, we can use to remove all the dirty soils from your carpet. Grooming might not the most important step in the process of cleaning the carpet but it prolongs its life-span and makes it softer and well proportioned – meaning that it prevents further stretching of the surface and matting. If the carpet is not dried well after all those procedures, it can not only re-soil quickly but even become in a way worse condition. 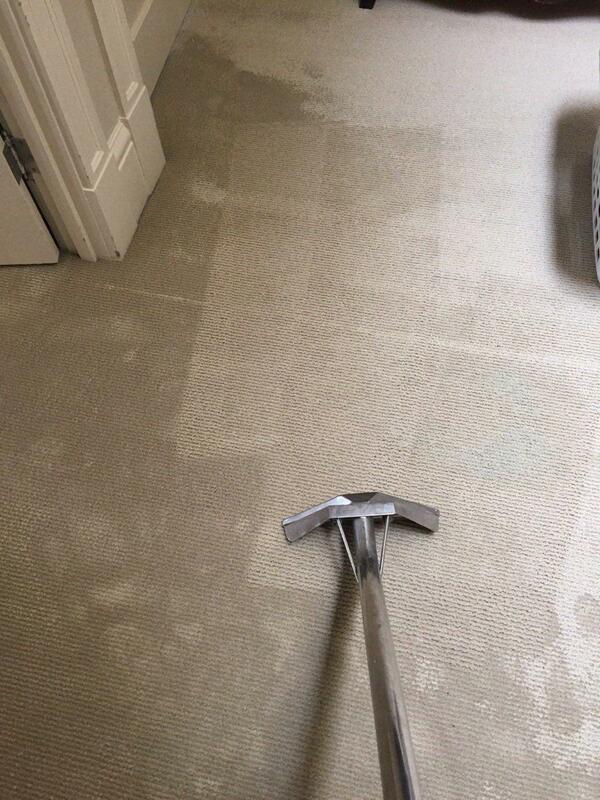 We make sure that your carpet is perfectly and evenly dried. It will be better looking, softer and with a longer life when we give it back to you. Doing this will prevent the accumulation of dust and dirt, make sure that wet spots are not left untreated and that your carpet will live longer. Do this with your furniture as well. As dust can travel from the carpet to the furniture the opposite is equally possible. So you have to keep a clean house as well to have clean carpets. Move furniture in order to reach inaccessible spots. Adjust the placement of your furniture. You must be able to clean every inch of your home using a vacuum cleaner. Also furniture crushes the spots on the carpet where it lies and makes them thinner. Vacuum cleaning them will help them recover. Also this will keep furniture and walls clean as well. Make sure that you haven’t missed a spot when cleaning your carpet. When there is a dirty spot on the carpet it must be treated immediately. The longer you leave it dirty the more damage will be caused. Make sure that if you spill you clean it and also dry it as soon as possible. Avoid using chemical treatment as well since it could cause more damage. Use cold water and a little baking soda. If the spots are hard to come, try using hot water instead but make sure that it doesn’t burn since using way too hot water can damage your carpet too. How to Recognize the Presence of Mold?